It has been a long time since I last posted a nail art. I have been a bit lazy, thats all. 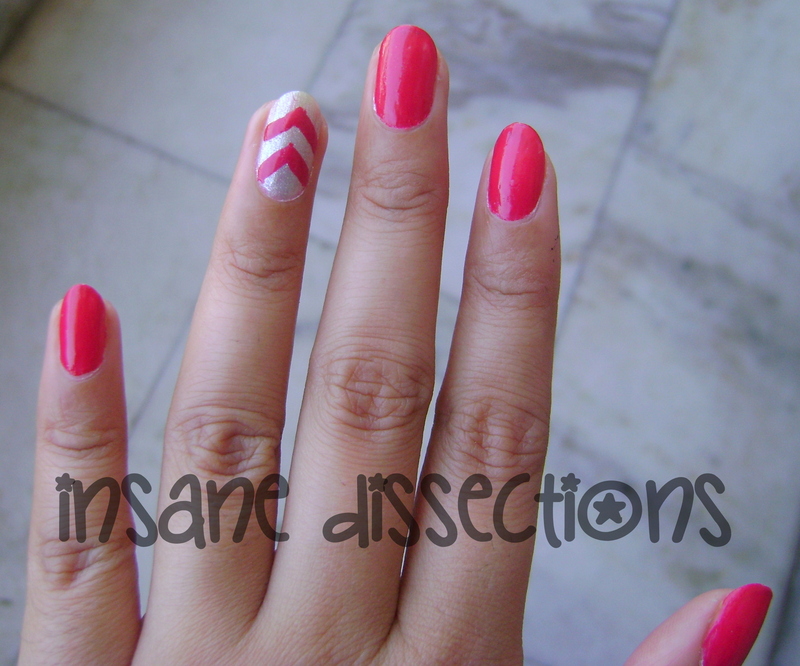 Now, I was not a huge fan of Accent nails but decided, Eh! I might as well try. 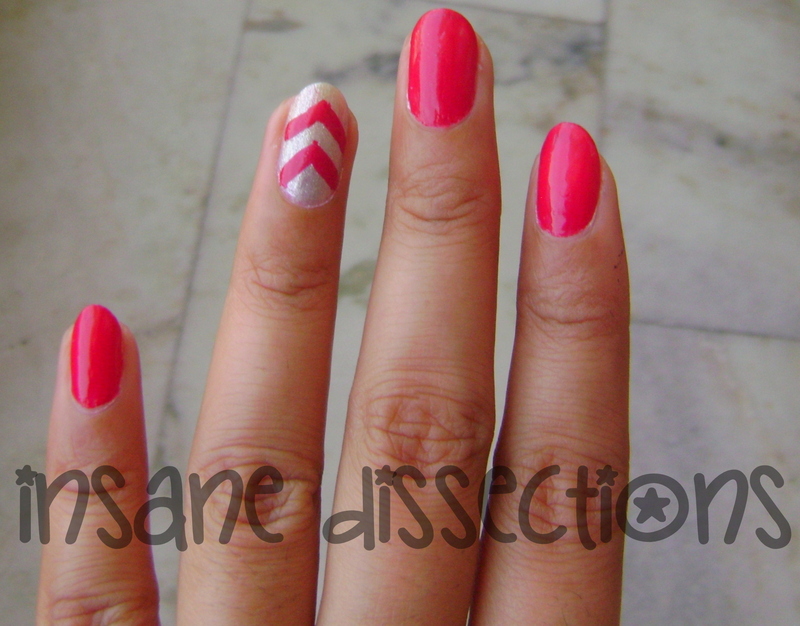 And, after this nail art, I have pretty much started liking accent nails. It looks pretty. Takes much less time (1 nail vs 10 nails). So, accent nails are basically when you paint one of your nails differently from the rest. It can be any nail. I chose the ring finger. 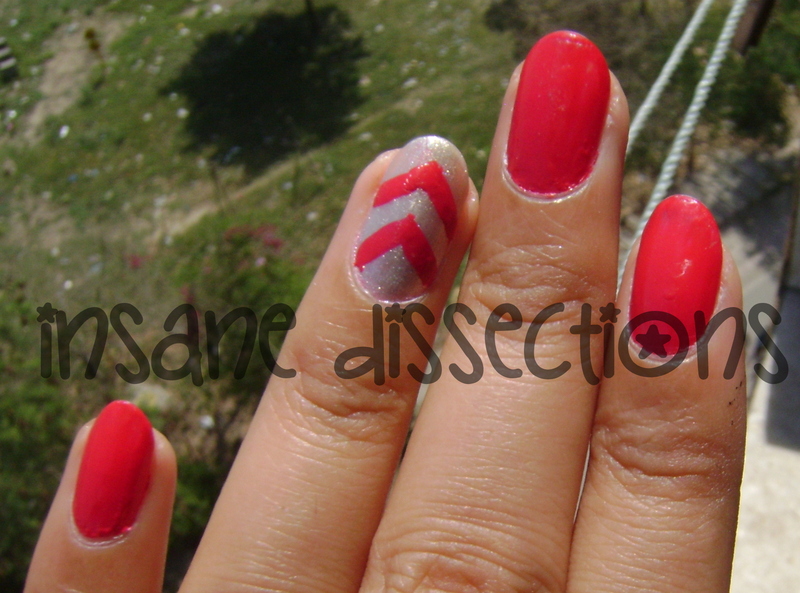 I chose to draw a chevron sign for accent nail. First I decided to use a scotch-tape. But the final result was not symmetrical. So, I had to touch up and redo the design free hand.